Face Ball Design Face BallCustom Lanyards with high shine finish that makes them stand out from crowd, a great product for promotional events. Your degin or logo will stand out good due to its shiny finish. 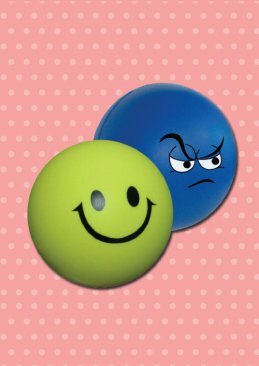 The Face Stress Ball is our former smiley face stress ball enhanced! Now choose any one of the faces in our huge selection printed on one side and your logo and/or text on the other for a truly customized stress reliever ... all included in the price! Get it in any color you like as well! Order online or contact us by phone, live chat or email for more personalized service. You will soon discover why we are known worldwide as stress ball experts!